junglebook mowgli And Mowgli is back in Town! Mowgli might be unknown to the kids of today's generation who are enamored with the likes of Sinchan, Doraemon, Ninja, Popeye, Chotta Bheem and others. But Mowgli was a familiar name amongst the kids during the late 80's and the 90's. Doordarshan used to play the Jungle Book every Sunday morning. It aired 50 episodes and Mowgli and his Jungle friends were the popular characters during those days. I am lucky to have been born during that era. I have always said that the Jungle Book is the gift to India by author Rudyard Kipling who has special memories attached to it. My memories of Mowgli dates back to 1991. I used to very young then. My mother never had any complaints about me especially on Sundays because there were Mowgli and friends to take care of me. She would switch on the Television and give me a platter consisting of fruits for me to eat so that I can enjoy the animated cartoon serial along with the breakfast. Such was my childhood days. We never had a color television then but Mowgli was something that happened to me in my early days. I still remember how I used to narrate adventures of Mowgli to my mother and my father used to listen to me with complete attention. Half of the things I said were not understandable because when I was young I used to stutter when I spoke. No one would forget their young days because those days were not days of technology where we had gadgets and mobile phones. Those days kids received entertainment only by watching such cartoons. Mowgli was one of them. Seeing my love for Mowgli and his friends, my Papa got me t-shirts, school bag, compass box, tiffin box, water bottle, bed sheets with Mowgli illustrations. My Mom would give me food on my Mowgli plate every day. I had preserved it for years until we shifted to a different home in 1998. That would have been something that I would have preserved but sadly I miss them now. I remember how I used to flaunt my Mowgli collections at school and made my friends jealous. They would enquire me about it so that even they could buy! Such was the craze behind Mowgli. Growing up watching Mowgli taught me many things in life. There was a connect between the animals and a human and how much the animals loved Mowgli. 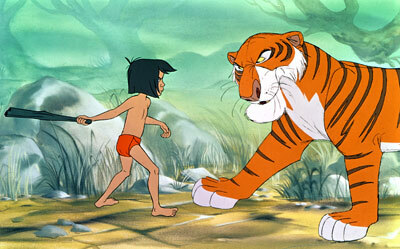 Mowgli was someone who was adored by Bagheera, Baloo, Ka, Champa and his brothers Akdu and Pakdu. With this association, my love for animals increased from my childhood. Because I was too young and through that cartoon series, I got to know about the importance of being friends with animals. Animals would love us only if we are friends with them. If you love them, they would love you back. Mowgli was a carefree boy who strolled across the Jungle of Central India. I remember the first episode on how Baloo found Mowgli as a baby and how hesitant he was to raise them. On the way, he gets lost and lands among the Wolf family who plan to raise the adorable baby Mowgli as their own kid. 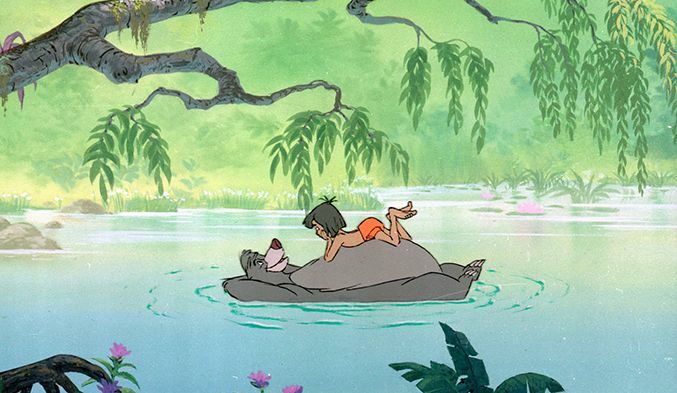 They are backed by Baloo and Bagheera, the over protective sloth bear and the panther who love Mowgli. Mowgli and the animals connect with the heart just like how dog connects with the human. Mowgli and the animals loved each other unconditionally. These animals do everything for the security of Mowgli and vice versa. This can be seen from the fact that they protect him from Sher Khan, the ferocious mighty Indian tiger, and his sidekick Tabaqui, the cunning hyena. Jungle Book had a special place in my heart. The over protective sloth bear Baloo and Bagheera were my favorite characters in the series. Of course, Mowgli was my first favourite. And sometimes during those days, I would envy Mowgli for having too many awesome friends in the form of the Bear, Panther, Wolves, Rabbits, Squirrels, Python Kaa and many others. With Mowgli, childhood days were full of fun. When I recently heard the "Jungle jungle Baat Chali Hai Pata Chala Hai, arey chaddi pehen ke phool khila hai phool kila hai!" the theme song of the Indian version of the Jungle Book series, it got tears in my eyes and made me nostalgic. It was then I decided to revisit the Jungle Book series once again after almost 23 years and my happiness knew no boundaries. I narrated the entire Jungle Book series to my younger sister and we both started watching it once again. I sometimes wonder that kids from this generation would find a semi-naked little boy roaming across the jungle with animals as funny. But Mowgli teaches a good lesson to all of us and the kids from this generation should watch it. Mowgli is back to town and, this time, it is a live-action 3D movie. I was the first one to be excited when Disney announced the news. I will be going to watch the 3D movie that is releasing next week. I am happy to revisit the Jungle Book series, it just rekindled the old memories of the early 1990's. Mowgli is releasing in India in English, Hindi and Tamil. Watch this video below. Thank you for writing this and taking us down the memory lane to childhood. Welcome Janak. We all remember him because our childhood was incomplete without this character.